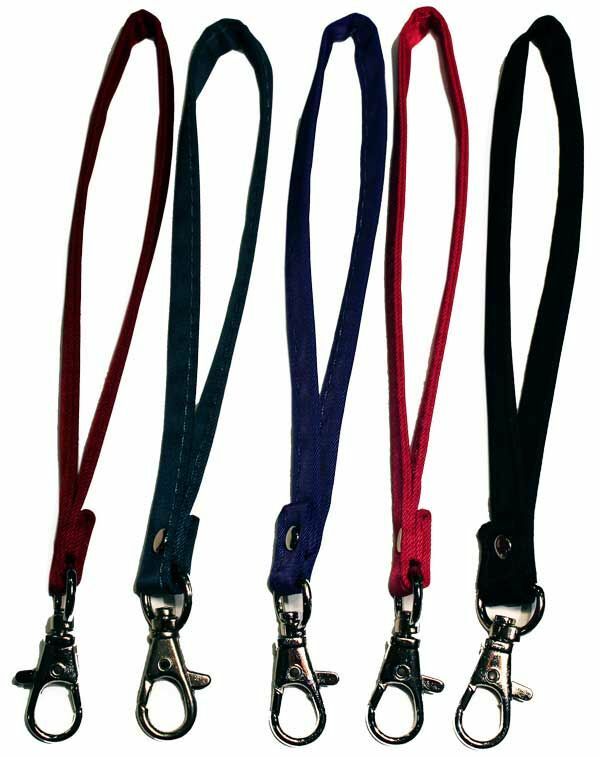 Our durable nylon microfiber wallet straps are best buys at Big Skinny. The sturdy metal closures mean it's harder to lose your wallet on the go. Order them in colors to match our proprietary nylon microfiber construction wallets for men and women. We guarantee every purchase at Big Skinny.net. Our wristlet/strap is a favorite for those times when you don't have a pocket to store your billfold. Women often buy them to transform our handsome wallets into stylish clutch purses. Don't worry about leaving your purse at the table when you go dancing. Attach our wrist strap to one of our mini wallets, and let the music begin. Because the material is lightweight and machine washable, they're favorite key chains, too. Attach our wallet straps to spare house or vacation home keys. Teeny-tiny key chains can be just as hard to find as loose keys. Instead, strap our colorful wallet strap to your keys. Purchased with the purple Lynx wallet, had to add a small ring to wallet to attach this strap. Works perfectly. Purchased this for Money Penny Coin Holder but the color didn't match Fortunately it did match another Big Skinny Wallet that I already had so it works and turns it into something easier to carry! The straps are good quality, well constructed and inexpensive. They serve well for other BigSkinny products or those other items that use a strap. Theyre great for keys, too. Im very happy with all my BigSkinny products. ProsJust the right length for a key holder. Sturdy and comfortable on the wrist. Very strong and well made strap. I am very pleased with my purchase! Love the strap and use it for the Lynx wallet. My close friends love it so much that I am purchasing a lynx and matching strap for them for Christmas! Love it!!! !